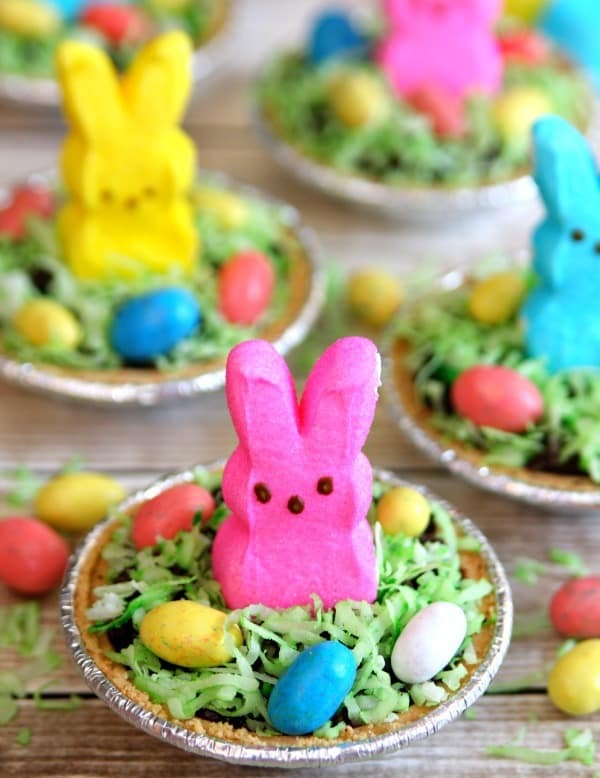 Mini Easter Bunny Pudding Pies - The Perfect East Treat! 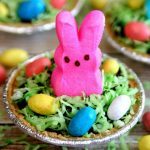 Mini Easter Bunny Pudding Pies – The perfect Easter Treat! Mini pies full of chocolate pudding and topped with crushed Oreo cookies, coconut, and Easter Candy. 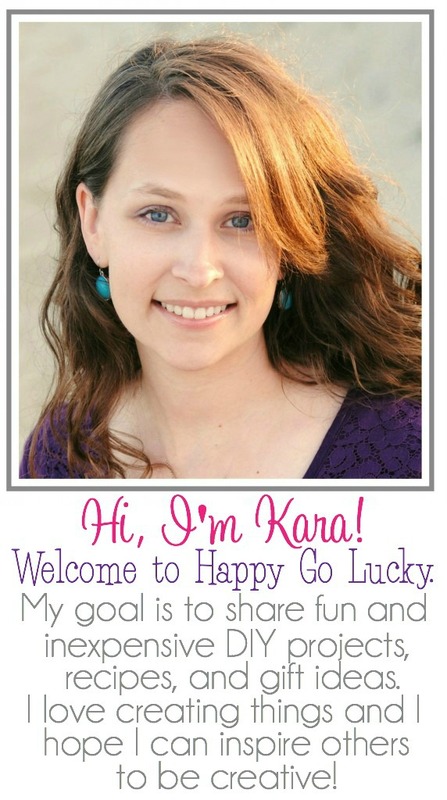 A fun and festive Easter treat everyone will love. I had so much fun making the St. Patrick’s Day Ice Cream Pies that I decided Connor and I needed to make Mini Easter Bunny Pudding Pies. There’s just something fun about being able to eat your own mini pie. Plus, it’s the perfect serving size when you’re craving something sweet. These were so much fun to make and the best part was that Connor got to be my little assistant. And guess what? The hardest part of this recipe was waiting for the pudding to set because we tend to get a little impatient when making mini pies. Want to make some this weekend for Easter? Prepare pudding according to directions on box. While pudding is setting, add coconut and food coloring to jar or plastic bag. Shake until coconut is green. Once pudding has set, spoon into graham cracker crusts. Add crushed Oreos and coconut over pudding. 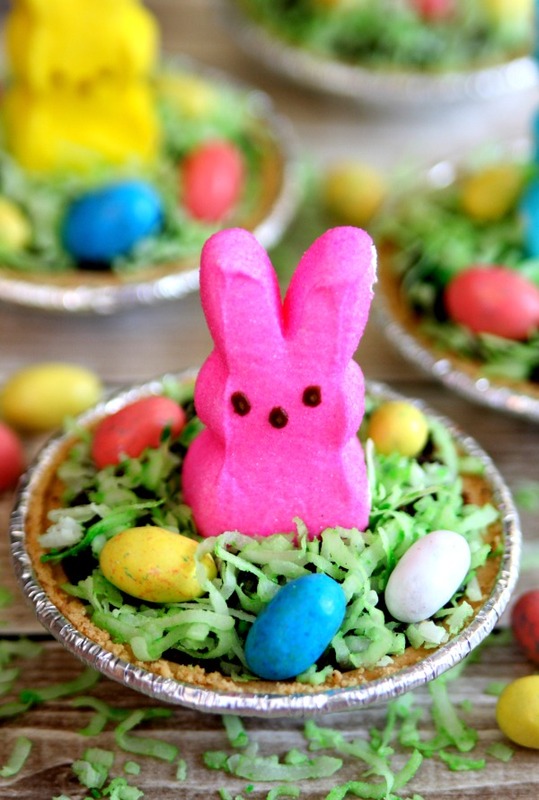 Add one PEEP and a few candy eggs to each pie. What do you think? Aren’t they cute? I’m going to make more on Sunday for Easter dinner so all the kids can have their own mini Easter bunny pudding pie. Maybe I should make some for the adults too. Now I need to figure out what other fun mini pies I can make. 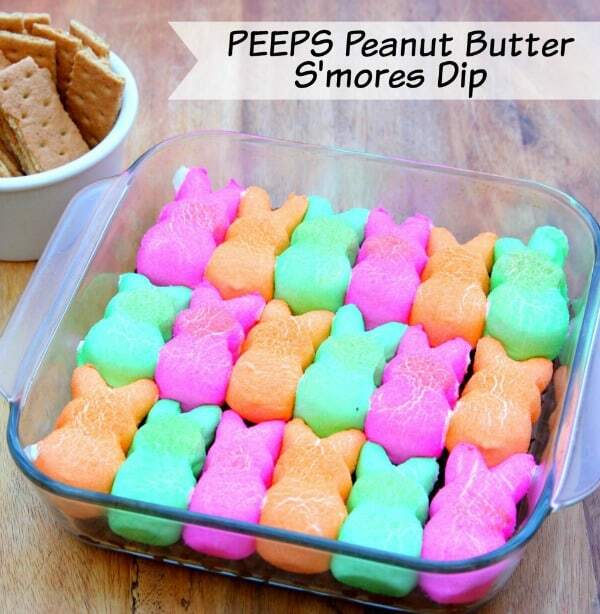 And, if you have a lot of PEEPS left, I highly recommend making this PEEPS Peanut Butter S’mores Dip because it’s amazing!